Subject: Is the UK creating an Electric Vehicle Battery Sector? Jacqui Murray spent the early part of her career as an engineer in the Steel industry and is a specialist in materials engineering, regulation and transformational change. 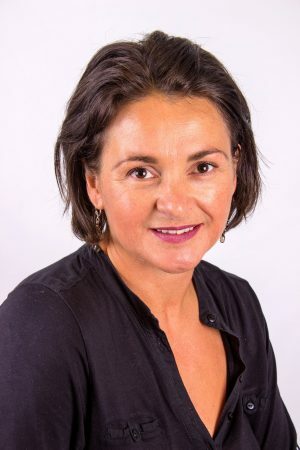 She worked on industrial environmental regulation policy for the Environment Agency and Welsh Government, crediting these experiences as teaching her how to untangle problems, policies and legislation that inhibit successful outcomes in business, Government and regulators. She is now Deputy Director of the Faraday Battery Challenge, the UK Government’s £246 million Industrial Strategy Programme. Along with the team, they are transforming the UK into a world-leading centre for automotive battery technology. Outside of work, she is Formula 1 fan, a mum of two and an active STEM Ambassador. She works with the British Army on a STEM outreach event at Sandhurst. Last year this was front page of the Telegraph and had companies like Dell, Airbus and Amazon working together to make a difference. This year it is 2000 children and has expanded covering blockchain companies like Calastone all the way through to Williams F1. Member of the WiSTEM Board for Wales, chair of their STEM Women in Industry Subgroup and a newly appointed Freeman of the Worshipful Company of Engineers. Subject: Using new analytical technologies to study Li-ion battery degradation products Simon Nelms is the Regional Marketing Manager for Trace Elemental Analysis in the EMEA region. He has been part of the Thermo Fisher Scientific team for almost 20 years, save for a 2-year postdoctorate sabbatical at the Institute for Reference Materials and Measurements in Geel, Belgium. Simon’s instrumentation experience has meandered through the whole range of trace elemental analysis applications, from environmental to chemicals analysis. Simon is now responsible for marketing AA, ICP-OES and ICP-MS products in EMEA for, among others, the industrial and environmental analysis markets. Simon holds a BSc in Analytical Chemistry and a PhD in research in research involving ICP-MS method development from the University of Hull, UK. Garry Wilson has more than 30 years experience in the automotive industry working for vehicle manufacturers and suppliers. He held various leadership roles within BMW, Land Rover, MG and Rover including Chief Engineer for Powertrain Manufacturing Engineering. He has worked for Roush and Delphi and most recently as a Board member at Torotrak and has experience in all aspects of the motor industry and business functions with predominant experience in powertrain engineering and manufacturing. 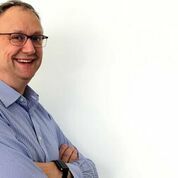 At the APC, Garry’s key focus is Business Development which includes development of the Hub and Spoke Network which will bring together the key technical, regional and specialist skills across the UK. Richard Stocker works as an Advanced Energy Research Scientist at HORIBA-MIRA, working as part of a team looking at the latest developments in energy vector technology. Richard himself specialises in Li-ion cells, looking at advanced techniques for use in battery cell testing and modelling as well as Battery Management System control strategies. Team leader of the Sales Project Department at Weiss’ standard competence center in Balingen. Focusing on solutions for Lithium-Ion / Electrical energy storage and ATEX products. Masters degree in Mechanical Engineering and International Sales Management. Gary Bentley is the European Field Application Manager for Littelfuse. Since joining Littelfuse in 2004 Gary has been providing customers around the world with knowledge and assistance in the application of Littelfuse products from their vast portfolio of sensors, semiconductors, overvoltage technologies, overcurrent protection, condition monitoring and fuse products. His background is power semiconductors and power conversion starting back in the 1970’s and the most recent 15 years at Littelfuse has enhanced a previous understanding of fuses with materials, technologies and know how. Gary has a keen interest in Automotive Electronics since his first basis ECU’s of the 1980’s and maintains an interest in operating environment protection for AE through Littelfuse products. Subject: Racetrack to Road – Commercialisation of Williams Formula 1 battery technology driving a unique approach to high performance batteries. Rob started his career as an electronics engineer, working on automotive body control systems before moving into an electrical integration role in automotive systems with TWR Engineering in 1992. In 2004, he became involved with vehicle electrification when he founded his own company which developed electronic systems for Modec, Tata and Daimler vehicles amongst others. Having first worked with Williams in 2010, when he was part of the team that delivered the Jaguar C-X75 programme, he joined the company as a full time employee in 2016 to head up the company’s batteries and electronics programmes. Mark is Head of Battery Development and Integration at OXIS Energy, which has been at the forefront of Lithium Sulfur battery technology since 2004. 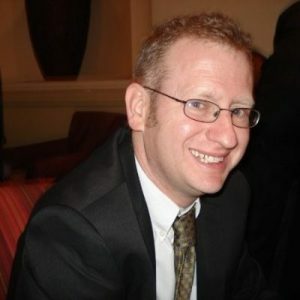 Mark holds a first-class Masters degree and a PhD in Electronic Engineering from the University of Nottingham and is a Chartered Engineer. Previously he has worked in the semiconductor industry, managing the development of several materials characterisation and metrology products. Dr Crittenden joined OXIS Energy in January 2012 as Head of Business Development, commercialising the technology and he now leads the battery department, developing lithium sulfur batteries for a wide range of applications and customers. Mohamed comes from a power supply design and development background. He worked in the Aerospace Industry for 10 years designing power supplies for various civilian and military projects. In addition, he was responsible for EMC testing, filter design and compliance. Mohamed moved on to hold the position of Principal Engineer and Project Lead Engineer on different programmes. In the past 4 years before joining Wurth Electronics, he taught a variety of subjects at University towards a BTEC degree in electronics engineering. He joined Wurth in April 2015 as a Field Applications Engineer responsible for the South of the England, Wales and Ireland. Lee White has over 10 years commercial experience in the materials testing market after completing his degree in motorsport engineering & aerodynamics. Primarily experienced in Automotive, Aerospace and Medical testing requirements Lee is now a Business Development Manager for the UK & Ireland working with CXX contacts on strategic requirements for the future in addition to business strategy & marketing for the ZwickRoell Group. ZwickRoell are a market leader in materials testing equipment. Notable project: Lee was responsible for the Energy Innovation Centre at the WMG (University of Warwick) state of the art facility in testing batteries in automotive applications. Subject: On-vehicle testing of high voltage batteries and electric drivetrains Ing. David Pflanzl BSc graduated from the University of Applied Sciences in Burgenland (Eastern Austria) in Energy and Environmental Management and is currently finishing his Master‘s Course in Sustainable Energy Systems. Prior to working at Dewetron he was employed as a high voltage test field engineer at a well-known manufacturer of electrical hydro and turbo generators. Now he is working as an Application Engineer and Technical Sales Specialist in the field of Power Analysis, Power Quality, E-Mobility, General Test and Measurement and Sustainable Energy Systems for Dewetron since 2013. David works closely with StrainSense Ltd, the UK partner of Dewetron, on installations of power analyser systems for electric drivetrain testing including test rig installations. Loic Chereau has over 20 years’ experience in the chemistry industry, and began his career in engineering and technology and progressed into global business roles focusing on Engineering Polymers, Elastomers and Specialty Chemicals. Loic played a huge role in developing new solutions and applications through both science and high value chemistry solutions within the Automotive and Aerospace industries. Loic now holds an extremely senior position within Chemours who are one of the largest chemical manufacturers in the world. He now spends his time focusing on the advancements within Chemours new generation OpteonTM specialty fluid range and explores the wealth of new applications available globally in the market place, however his personal passion lies in the thermal management of electric motor vehicles. Jeff is a project manager representing the 3M product range relevant to automotive electrification. Over 12 years at 3M he has performed roles within the automotive and aerospace sectors, having previously worked for a number of automotive brands where he was focussed on launching new materials technology. With Masters degrees in Materials Engineering and Engineering Quality, Jeff has applied his knowledge to specialise adhesive bonding, light weighting and is now enjoying the challenges presented by electrification in its many forms.